From our last blog post you will already know that we want to develop a service to assist farmers while they are searching for suitable areas for greening measures on their arable fields. Within the last months, we have refined our methodology and tested its application on a use case in Bavaria. As a result, we could provide the farmer with a map of potential greening areas on his agricultural holding. Originally - while developing the methodology - we did all of our processing using conventional GIS software, which took us a lot of time. We had to download all the various datasets that we use for the analysis down on to our computers, clip them to the extent of the study area (and some of them are huge! ), do the analysis and then map the results. If you have ever worked with geoformation data, you can imagine that this took us a long time, despite being a rather simple thing to do. This is why the tools developed within the MELODIES project have been so important to us. All the data that we use is freely available on the web – but it is scattered on about 15 different web sites and in different coordinate systems or spatial resolutions (in this case I’m referring to the raster data that are used for the economic evaluation). If all those data were published as linked open data, then the procedure of data mining would become a task of a few minutes instead of a few days. After the analysis we could publish the datasets again as linked open data – and it would be obvious to everybody which data was used during the analysis and who did the job. All the data that we use is freely available on the web – but it is scattered on about 15 different web sites and in different coordinate systems or spatial resolutions... If all those data were published as linked open data, then the procedure of data mining would become a task of a few minutes instead of a few days. From the datasets on the demonstrator portal, you can see that the input data of the analysis consists of two different types of datasets. The ecological data (that is, information about current land use from open street map and information about the distribution of conservation areas) is publicly available from regional authorities and other data providers. The methodology to assess the economic value of the farmland is part of the expertise of our own office (TalkingFields). Based on the analysis of long-term time series of freely available satellite data, we can derive the yield potential of an area (field) for a specific type of crop. But what to do if there is no crop? How can we evaluate the economic and ecological value of grasslands? Grasslands are a major source of income in southern Bavaria, a region that is dominated by milk production. They are therefore an important source of income for the farmers of this area (and of many other areas worldwide, thinking about the huge grassland areas on all continents). 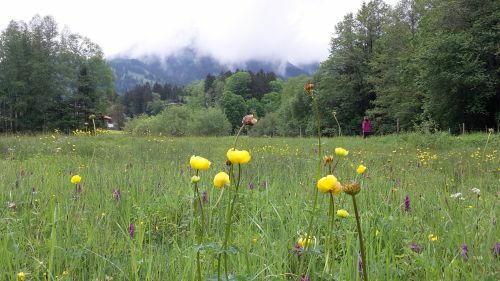 In contrast to agricultural areas, grasslands support much higher numbers of species (on some grasslands in Bavaria 62 species were counted on an area of 25m²!) and so grasslands have a high economic and ecological value. Since the total amount and the species richness of grasslands in Germany has been constantly decreasing during recent years, the preservation of the total grassland area is another main objective of the new EU greening regulation. Can we see when grasslands were converted into other land use classes? And can we estimate the economic and ecological value of grasslands? To do this we started off analysing long-term time series of freely available satellite data – Landsat 7 and 8 and Sentinel 2A. To fill gaps in the time series we used data from the RapidEye constellation. From these data, we extracted the leaf area (in m²/m²) and the chlorophyll content of the leaves (in µg/cm²) for 1388 sample points that had been part of a large grassland study of the Bavarian State Office for Agriculture in 2002 to 2008. We started by conducting an analysis to classify meadows that had been converted into another land use class. You can see the results of this analysis in Fig. 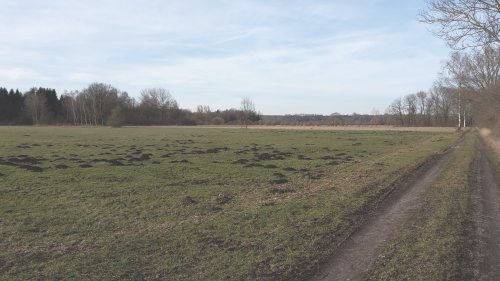 1) – a map that indicates which of the data points have very likely been converted into arable fields or build-up area and which meadows are very likely to still exist as meadows. Thus, we developed a methodology to detect grassland conversion and found a solution to problem number one. Problem number two was more difficult to tackle. We are working with satellite data with a spatial resolution of 5 to 30 m, depending on the sensor that is being used. This resolution is well suitable for agricultural applications, e.g. to map differences in growing conditions within agricultural fields and to derive the yield potential. But it is too coarse to map single species within the canopy. Producing a map of species occurrence within meadows was therefore not a feasible option. So how to differentiate a meadow with a lot a rare species from a common meadow that is very intensely used for hay production? When checking the time series of leaf area development that we had derived for the sample points of the Bavarian State Office for Agriculture, we realized that we could see cutting dates of meadows from the time series of optical satellite data. Meadows that are being used for hay production are being mown several times during a year and therefore show several cycles of increasing and decreasing leaf area throughout the growing season. The number of cuts can serve as an indicator of the economic value of the analysed grassland patch – the more cuts, the more intensely is the meadow used. But what is even more – the number of cuts can serve also as an indicator for the ecological value of the meadow. A lot of species react very sensitively to mowing, especially when the grass is being mown before the plants can flourish and produce seeds. A meadow that is cut 3 to 4 times a year is therefore very likely to have a much lower species richness than a meadow that is only being cut once or twice, especially when this is happening at the end of summer. So, counting the number of cuts and determining the cutting dates throughout the season can not only give an indication concerning the economic value of a meadow but also about its ecological value. As simple as this approach seems when reading it here – there are some pitfalls that make things tricky. One is the same problem Gerardo is facing when working on his land cover classification – the coverage with clouds. We are likely to miss the precise cutting date or even entire cutting cycles when looking only at time series of optical satellite data. So the next step for us is to combine the optical data with synthetic aperture radar (SAR) data to better detect the cutting dates. But can you imagine how much more data processing this requires? The datasets of optical satellite data alone of the years 2014 and 2015 for the study area in Fig. 1 consist of altogether almost 400GB. Adding the SAR data to this will result in even more data (we will use data of ESA’s new Sentinel 1 satellites). So this gives us the ideal use case for another major component of the Melodies project – the cloud platform of Terradue.